On this page: The stepsThe toolsNeed more help? McGill's Scholarships and Student Aid Office shares the concerns of students who worry about managing their finances successfully over the course of their degree. That's why the Scholarships and Student Aid Office has worked directly with students for students to create The Frugal Scholar Program - a comprehensive program designed to help you budget effectively and graduate with manageable debt. Each page in this section represents an important step in the Frugal Scholar path to financial wellness. Start with Estimating your resources and follow along and find the peace of mind that a realistic plan will bring! Already have a budget built? Cash in on $ tips to stay on track, or Manage your debt for instructions on how to repay loans and avoid common debt regrets. The Frugal Scholar Toolkit is a set of budget worksheets developed by the Scholarships and Student Aid Office and students like you to help you understand your costs and live for less! Throughout this section you will find instructions on how to use the Toolkit. 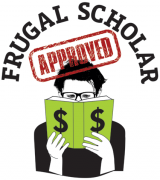 The Frugal Scholar Toolkit Guide is a condensed, printable version of these instructions. If you have completed the steps in this section and are still struggling to build or stick to your budget, we invite you to schedule a Budget & Debt Management appointment with one of our Financial Aid Counsellors. In order to do this, you will need to complete - as best you can - your Financial Profile in Minerva to identify your costs, resources and debt for the current year. This will help inform our counsellors and ensure you get the right advice for your specific situation. Featuring our Frugal Toolkit and Guide—your pathway to financial wellness! Figure out your finances and become financially savvy. Discover our workshops offered regularly throughout the year.